Mt. 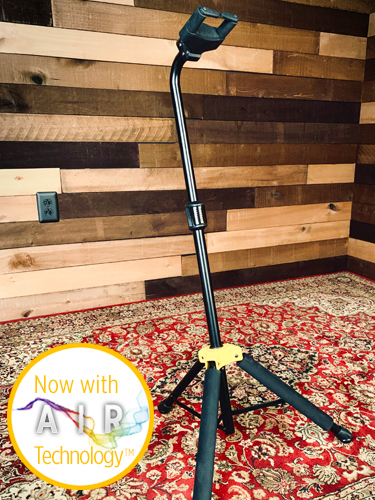 Juliet, TN – April 1, 2019 - Hercules Stands are known worldwide for their high-quality and innovative musical instrument stands. The designers and engineers at Hercules have once again pushed the boundaries by introducing the world’s most accommodating stand ever invented; The Hercules Air. The newly designed GSAIR41 stand offers the same level of security, stability, and versatility that Hercules is famous for. 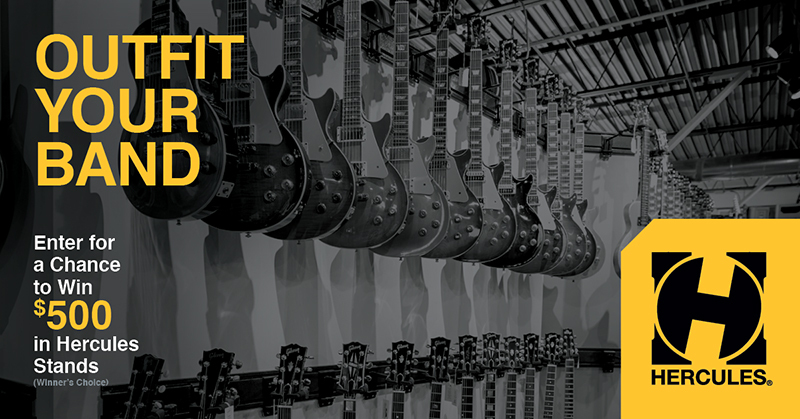 "Air guitar players now have an option for their air guitar display needs,” says Kevin Philbin, Hercules Brand Manager. “We listened to our customers around the globe who were searching for a stand made specifically for them." The GSAIR41 stand will accommodate any air guitar known to man; from headless designs to 7-neck models, they will all fit on this incredible new stand. Air guitarists can find the new Hercules Air guitar stand where fine air guitars and air guitar accessories are sold. Oh, and in case you didn’t know…APRIL FOOLS! And while you're here, take our Hercules Outfit Your Band Survey and you could win $500 in Hercules stands for your band! Connect With Uson facebook, instagram, and youtube.